Add impact to how you showcase your brand with a unique marketing or sponsorship activation. There are plenty of customizable sponsorship options available. Booth space at the KNOWSHOW is limited to selected brands. If you are interested in having your brand at KNOWSHOW, please Apply to Exhibit below and our sales team will be in touch. 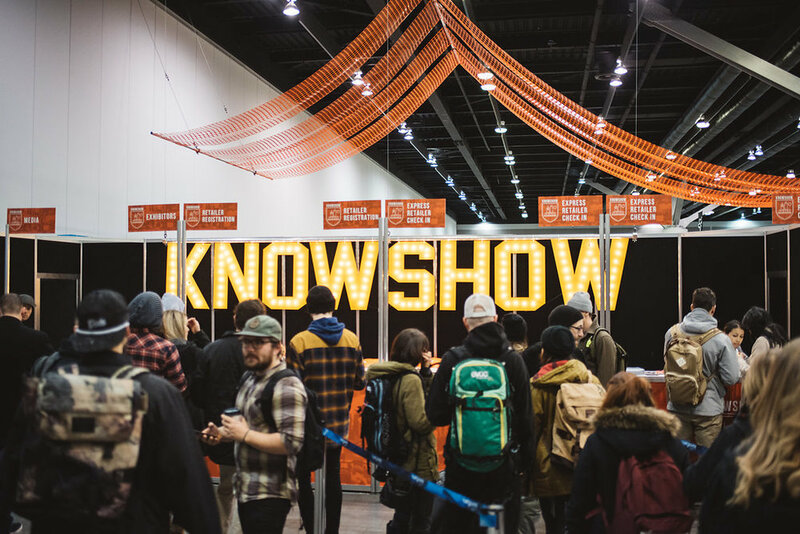 The KNOWSHOW accommodates the largest gathering of retailers, tastemakers and media involved with the lifestyle, fashion and action sports industry north of the 49th Parallel. This presents a great opportunity to see your brand’s message driven to Canada’s leading retailers. We offer many different sponsorship and exhibit opportunities and welcome customized concepts to meet your specific needs. Bi-annual shows in Vancouver attract retail leaders from around the country that will determine what end consumers will find in coming seasons. The show's attendees are Canada's tastemakers and have their fingers on the pulse of what is happening locally, nationwide and internationally. KNOWSHOW is the ultimate forum for Canada’s leading brands to market their iconic products to countless fans and followers. Ready to sponsor or exhibit? Thank you! You will now be redirected to the KNOWSHOW Post Show Report!